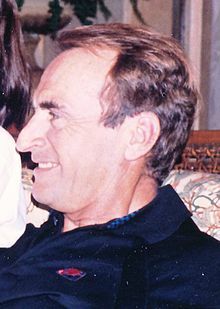 James Barrie Sikking (born March 5, 1934), credited as James B. Sikking, is an American actor known for his Emmy Award-nominated role as Lt. Howard Hunter on the 1980s NBC TV series Hill Street Blues. He also starred on the ABC TV series Doogie Howser, M.D. as Dr. David Howser. ↑ "'Hill Street Blues' cast reflects on show's impact". USA Today.com. Retrieved June 9, 2014.